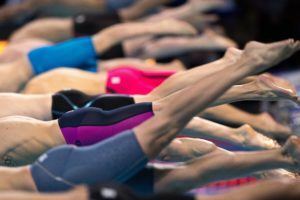 The 2017 French Elite Long Course Nationals are underway, as Tuesday marked the first day of competition in Strasbourg. 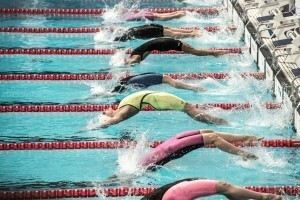 Swimmers gathered on day 1 to compete in the men’s 400 free, 50 fly, and 200 back, while the women competed in the 100 breast, 50 free, and 400 IM. Read on for highlights from day 1 finals. 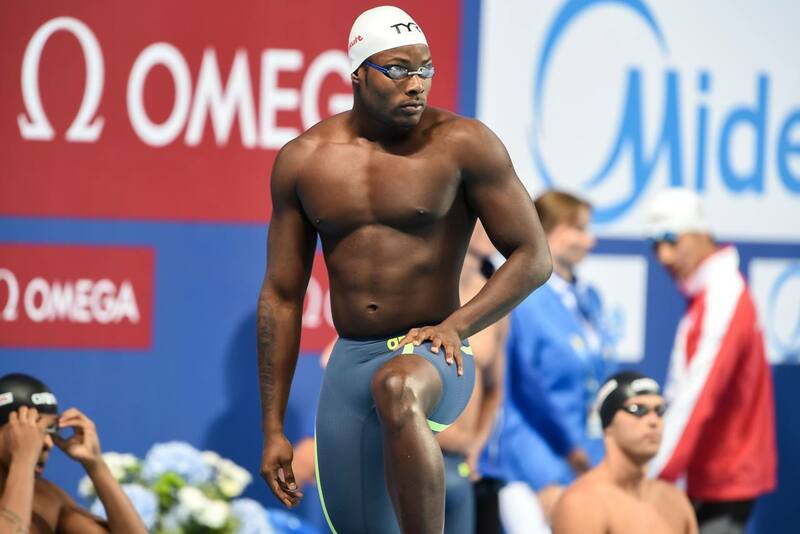 As expected, sprint standouts Mehdy Metella and Jérémy Stravius put on a show in the 50 fly. The 2 swimmers battled closely into the wall with a nailbiter finish. In the end, it was Metella who got his hand on the wall for the gold, touching in 23.61. Stravius was just shy of his prelims time as he took silver in 23.71. A 3-man battle in the men’s 400 free saw Jordan Pothain, Joris Bouchaut, and Damien Joly race neck-and-neck down the stretch. Pothain and Joly led the way through 300 meters, but Bouchaut made a huge move with a 57.03 final split to keep things interesting. At the finish, Pothain was able to hold him off, winning the race in 3:50.06. Bouchaut did, however, run down Joly for silver, as he posted a 3:50.65 to Joly’s 3:50.80. On the women’s side, Anna Santamans lowered her season best by 2 tenths, winning the final with a speedy 24.71. With that, Santamans has cracked the world top 10, moving up from 12th with her prelims time to 9th with her time in tonight’s race. Behind her, Melanie Henique tied her lifetime best as she picked up silver in 25.11. Rounding out the podium was Texas A&M-based Béryl Gastaldello in 25.22. Also qualifying for the 2017 FINA World Championships in Budapest was backstroker Geoffroy Mathieu, who cleared the qualifying mark in the 200 back after winning with a 1:57.04. Additional event winners on day 1 included Fanny Deberghes, who captured gold in the women’s 100 breast, and Fantine Lesaffre, who won the 400 IM. Deberghes unleashed a 1:09.18, outpacing Charlotte Bonnet (1:09.57) and Solène Gallego (1:09.69) on the back half to take the 100 breast title. In the women’s 400 IM, Lesaffre cleared the FINA A cut, winning the event with a 4:41.64, but didn’t qualify for Worlds based on the French Federation’s standards. I thought the FFN had set out their own qualifying times for the Worlds? Quite tough ones too, they’re mentioned in other articles about these champs. And the DTN has said they would stick rigorously to these (unlike say last year). Today, Santamans and Mathieu qualified, surprisingly in the latter’s case I think. Nobody else got that close to the QTs, though Metella and Stravius have stronger events coming up later on in the week, as does Bonnet. Pothain will also get another chance through the 200 free, and maybe as part of the 4×100 free relay. French medals in Budapest in the pool? Maybe the men’s 4X100 free relay. Yes maybe Lacourt in the 50 back. Bonnet in the 200 free? It will be very tough. Metella maybe a bronze in the 100 fly. A lot of “maybe”. 🙂 It can be 0 like 4. Probably closer to 0. And I’d like to see more French swim fans comment on swimswam. A lot of very average swims on that day 1. Biggest disappointment coming from Jordan Pothain in the 400 free. Bad time in 3.50. No qualification. Our best female breaststroker in 1.09. Nothing new. 2 rays of light with Anna Santamans in the 50 free in 24.71 but especially Geoffroy Matthieu with a great and unexpected 1.57.04 in the 200 back. His PB before the meet was 1.59.96. The good surprise.